Who says shoes are all there is to find here? 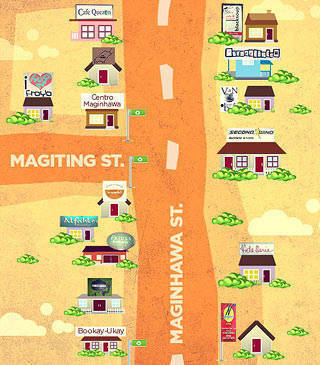 SPOT.ph gives you the lowdown on this city's good grub, fun finds and R&R. 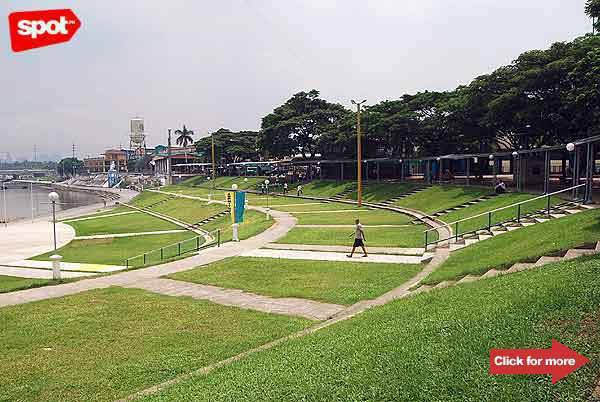 What makes Marikina City worth visiting? Don’t say "Shoes," because the city has definitely come to be known for more than just that. Yes, we already know it’s the Shoe Capital of the Philippines and no, we’re not taking that for granted. Marikina residents also proudly rave about their clean and orderly "model city" plus, the great food, "chillax" spots, and shops in it. 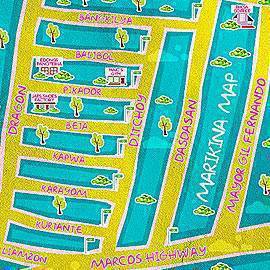 Check out Marikina’s impressive bio and find out why Marikeños are just too in love with their city. In the last few decades, Marikina has emerged one of the healthiest and most livable cities in the country, where the streets are safe and clean and the citizens are disciplined--they claim there are no jaywalkers here, that the garbage collection rate is at 99% percent (no doubt the highest ni Metro Manila, as of 2008, declared by the Marikina Waste Management), employment rate is up to 87.5% (as of April 2007, from the National Census and Statistics Office Jan. 2007 - Jan. 2008 Labor Force Survey), and that the crime solution efficiency rate reaches 97.5% (as of 2008, from PNP-Marikina). Because of the provision for designated bicycle lanes, Marikeños prefer to bike around the city. There is also no shortage of eco-friendly activities and possibilities for successful business ideas abound. And though Marikina is continuously booming as a highly industrialized and commercial area, thanks to its skilled and highly literate workforce, its culture and history is still preserved. The city has banked on its shoe industry to both boost the economy and promote its culture. Cities that want to compete would have to match Marikina’s long list of achievements, including the WHO-AFHC Award for Pioneers in Healthy Cities (2008), Pabasa sa Nutrisyon Award (2008), WHO Best Practice Award for Climate Change and Health for "Bicycle-Friendly City" Program, "Sapatero Festival" 1st Place for Best Tourism Event (2008), Most Business-Friendly LGU Citation, Best Jail in the National Capital Region (2008), One of the Most Competitive Metro Cities (2008), and Best Police Station in the National Capital Region for 2007 (for PNP-Marikina). Enough said. For visitors who want to pay a little visit to this dream city, navigating it may seem like a confusing task what with lots of narrow roads (some of which are one-way) and accesses from one barangay to another. But going through the hassle of taking out a map, asking a friendly Marikeño, or relying on pure gut-feel is worth it all, thanks to these places (and the clean grounds they are on) that deserve a thumbs-up. Get transported to Italy once you enter Bellini’s. Click for more photos. Tapsi ni Vivian has been delighting Marikina residents and visitors with its yummy Tapsilog (P80) and Bulalo (P225) since 1984. Don’t be fooled by the cafeteria setup because this joint has a large following. Located along Gil Fernando Avenue in Barangay San Roque, the place is open 24/7 making it a perfect stopover for any trip. Items on the menu are also in rotation so guests can expect something sort of new for every visit. If you love pancit, you have to visit Panciteria ni Edong in Midtown Subdivision and try their different versions of noodles from canton to bihon to miki and lomi. Among the must-try dishes are the Canton con Lechon (P120), Bihon White Special (P190), Lomi Special (P150), and Miki Bihon Special (P150). Aside from pancit, the place also serves other house specialties like Crab Torta (P180), Cripsy Liver and Gizzard (P145), and Ampalaya with Fish Fillet (170 and up). For some serious business or just an afternoon of peace and quiet, head to Biksa Coffee. The serene ambiance will get you in the mood for brainstorming as well as relax your nerves after a hard day at work or school. Take your pick from their selections of Hot Coffee (P85-P115), Ice Blends (P95-P129), Teas (P85 and up), Frappes (P139-P155), Smoothies (P139/P149), Milk Shakes (P129-135), Rich Choco Drinks (P119-125), and Italian Sodas (P69). For the pasta, guests must try the Pasta ala Biksa (P189)--a house special made with longganisa and green peas. Dessert, you ask? Nothing beats the classic Blueberry Cheesecake (P115). Enjoy the bright and sunny feel at Café Lidia where drinks and meals are not only blended carefully but presented artistically, too. For the drinks, visitors must try the Regular Latte (P85/P100) and Regular Café Mocha (P90/P100). The Pasta ala Lidia (with anchovies, olives, capers, tuna, and tomatoes in olive oil, P135) and Pizza Lidia (with olives, capers, anchovies, and tuna, P205) are also worth the try. For those looking for heavy grubs, try their different entrees like Tuna Salpicao (P150), Chicken Kiev (P185), and Rib Eye Steak (P340). Friends, families, and lovers come together at this one spot behind a hospital along Katipunan Extension. Qizia Café, behind SDS Medical Center, has been serving good coffee, flavorful pastas, and other scrumptious meals for three years now. Guests must try their Americano (P40) and Iced Mocha (P70) drinks along with pastas like the Beef Pesto (P105) and Seafood Pasta (P120). Short orders like Beef Salpicao (P145) and Grilled Butterfly Prawns (P180) also get thumbs up. There’s nothing like pugon-baked goodness for your favorite pandesal. 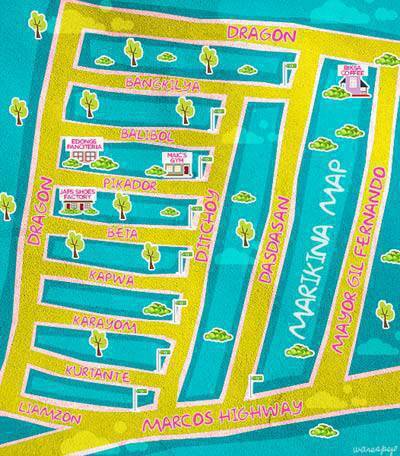 In Marikina, there’s one famous spot you can’t miss if you’re craving for just that. 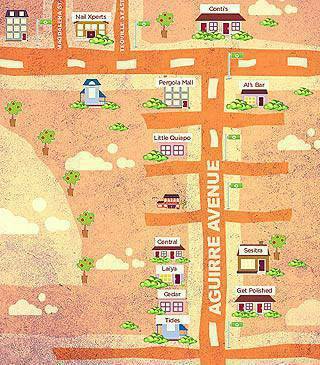 It won’t be difficult to find Pan De Amerikina in General Ordoñez, Barangay Concepcion Dos; just ask anyMarikina citizen on the street (they are very nice about giving directions, by the way) and you’ll be on your way in no time. Pair your Brewed Coffee (P15) with their Pandesal (P5.50) or Ensaymada (P10). Beside the bakery is the restaurant where they serve Marikina specialties like Everlasting (steamed ground pork, P35) and Waknatoy (pork Menudo with pickles, P35) alongside other Filipino favorites. If you’re looking for a bit of adventure before dining, check out Isabelo located somewhere along Isabelo Street in San Roque. The restaurant is literally a "secret place" that even some of the residents don’t know where it is. Those who want to dine would have to book online and will be sent an email containing the address and map. Owner Portia Dee Baluyut prepares the meals herself; ingredients are hand-picked on the day reserved to ensure freshness. Try their Italian Paella (P550-P1,250), Pizza Margherita (P350), Beef Bourguignon (P780), and Orange Herb Chicken (P660 /P900 ). Café Kapitan Restaurant inside the Kapitan Moy ancestral house (along J.P. Rizal Street in Sta. Elena) offers dining ala carte and in-house catering services. The restaurant spells fine dining Español-style with its impressive menu and sophisticated interiors. You can’t miss out on the mouth-watering house specials like the Paella Valenciana (P525-P725), Blue Marlin in Lemon Butter Sauce (P179), and Callos con Garvanzos (P179). Reservations can also be made for birthdays, weddings, baptismal, debuts, anniversaries, seminars, and other special gatherings. Beside Café Kapitan Restaurant is Cocina by Kusina ni Kambal Catering Services, a buffet haven. For P180, guests can enjoy an eat-all-you-can buffet (on the premise of a clean plate, no sharing, and no take out). The menu changes everyday, but among their tried-and-tested dishes are the Beef Burgundy, Fish Fillet with Tartar Sauce, Chicken Pastel, and Beef Salpicao. There is also a Halo-Halo bar where diners can mix their own sweet Pinoy treat--and this is part of the P180 all-you-can-eat buffet, too! Just be mindful of their operating hours to enjoy an all-out dining experience at Cocina. Looking for Cantonese fare? Visit Luyong Restaurant, along J.P. Rizal Street in Concepcion I, and taste for yourself the dishes that has been keeping the joint alive since the 1950s. Try their Pata Tim (P390), Brocolli with Beef (P180), Mixed Seafood with Tofu in Pot (P200), Chicken with Mushrooms (P190), and Special Pancit with Lechon (P160). Their menu also has a Filipino Favorites section containing Pork Sisig (P180), Bangus Belly ala Pobre (P185), and Inihaw na Liempo (P185), among others. 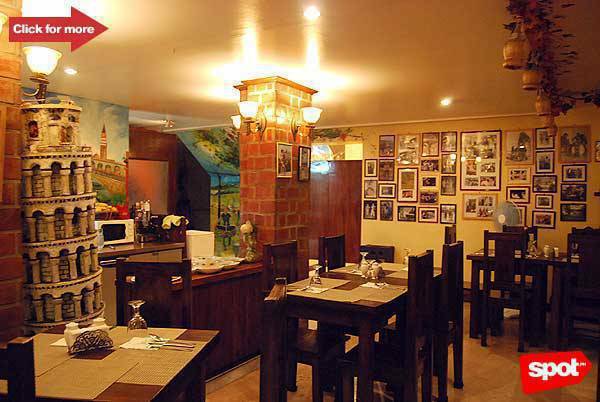 For authentic Italian dishes from Marikina, visit Bellini’s Ristorante Italiano at J.P. Rizal Street in Sta. Elena. From the outside, the restaurant looks small but the interiors are actually spacious and well-lit. Enjoy their fresh pastas and pugon-baked pizzas and get your money’s worth. Among the must-try dishes are the Lasagna (P300), Bellini’s Special Pizza (P250/P480) Bistecca alla Griglia/T-Bone Steak (P120/100g), and Blue Marlin alla Griglia (P250). And here comes the "fried" of Marikina, Johnny’s Fried Chicken. Since 1967, Johnny’s has been stuffing Marikeños and visitors with hard-to-forget fried chicken (P81-P295). Aside from chicken meals, the joint also serves bestselling pancit guisado like Bihon (P85), Canton (P85), Miki Bihon (P85), Miki (P85), and Lomi (P70). There are also Tipid Meals (P69-P153) for mixed-matched meals that hit the spot. Chill at the Riverbanks. Click for more photos. Sweat it out at Maic’s Gym in Midtown Subdivision. Per session rates are P90 (regular) and P70 (student). Avail one month membership for P800 and annual membership for P7,000. There are also boxing classes held at the gym for P1,000/8 sessions, P1,200/10 sessions, P1,400/12 sessions, and P1,700/1 month unlimited sessions. Celebrity sweethearts Kristine Hermosa and Oyo Boy Sotto are also enrolled in the gym. Kapitan Moy, an ancestral house converted into a Cultural Center, helps to preserve the Marikina culture and history. The Cultural Center serves as a venue for various cultural events involving music, visual arts, literature, and the like. You can also celebrate private functions at the second floor of the building which exudes a very relaxed and peaceful atmosphere. If you’re already in the Shoe Capital of the Philippines, you can’t miss visiting the Shoe Museum near the Kapitan Moy ancestral house. 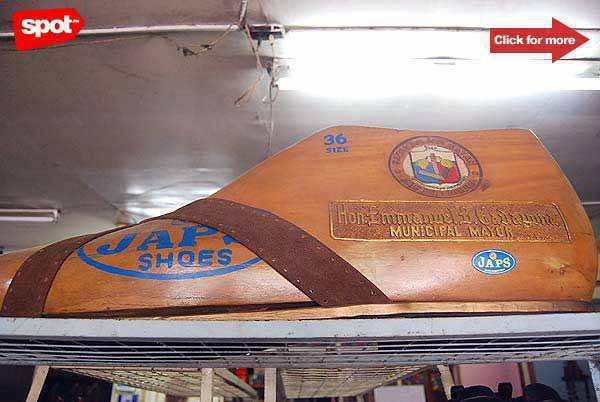 The museum opened in 2001 and has since been enriching and promoting Marikina’s shoe industry. The museum houses the shoe collection of former First Lady and now Ilocos Norte 2nd District Representative, Imelda Marcos. Other collections are from former presidents, vice presidents, senators, mayors, ambassadors, and more. Make learning fun for the kids at the Philippine Science Centrum. The Science Centrum promotes interactive learning and teaching for students, teachers, and parents. There are different discovery rooms and galleries for Earth and Science, Electricity and Magnetism, Mathematics, and Liquids, among others. Admission fees are P100 for students and adults, free for teachers and children below two years old, and less 50% for senior citizens. Enjoy nature in the city at the World of Butterflies, a 2,000-square-meter garden home to over 20 species of butterflies. The venue is perfect for tykes to understand nature and the cycle of life. Entrance fees are P20 for students, senior citizens, and Marikina residents, and P40 for adult visitors. Shoes galore at Marikina, the country’s Shoe Capital. Click for more photos. And yes, of course you musn’t leave Marikina without getting your hands on their authentic hand-crafted shoes. Visit Jap’s Shoes Factory, a garage converted into a shoe store, just across Panciteria ni Edong and cruise through rows and rows of footwear from slippers, to sandals, to boots, and more, that are purely local. You might even see all the hardworking women and men of Jap’s with their workstation just beside the store. Drop by the International Footwear Center and visit the Otto Shoes Store. Otto shoes has long stepped out of the "school shoes" image and now carries different types of footwear that are at par with foreign brands and can be worn at work, home, and gimmicks. Imbibe the style of Arvin "Tado" Jimenez by shopping at his Limitado: Dressed to Kill and Other Things store in Roxas Street, Calumpang. The store sells T-shirts, bags, footwear, accessories, toys, DVD collectibles, and other items. Now here’s a market that you’d like to have in your neighborhood. Dubbed as the "People’s Mall", the Marikina Public Market makes shopping more convenient and enjoyable for both consumers and vendors. All peripheral roads are roofed (about 439 meters long) making the different areas accessible. The area is also kept clean and laws are strictly enforced to ensure healthy competition between vendors and protection of consumer rights. Artwork by Warren Espejo. Photos by Jean Natividad. Additional photos from Pan De Amerikana, Isabelo, and Limitado.